You get the new Gear VR and the motion controller. 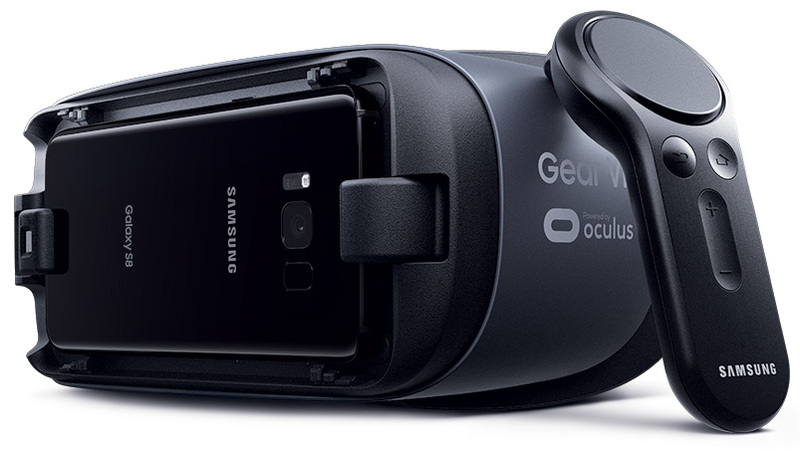 After setting up your new phone, Samsung and Oculus will throw some free VR content your way to help you enjoy the new headset. If you don't mind the added cost, you can get some headphones and a microSD card with your Gear VR. The "gift box" promo costs $99—it includes the Gear VR, controller, a pair of AKG headphones, and a 256GB microSD card. The AKG headphones are valued at $150, the Samsung 256GB microSD card is $250, and the Gear VR with controller is $130. So, that's $530 worth of stuff (retail price) for $99. The promo is valid for GS8 or GS8 Plus orders placed between 3/30/2017 and 4/20/2017. Regardless of which bundle you do, you will have to submit proof of purchase to Samsung and wait for the promo items to show up. That could take a few weeks. Documents from the valid purchase period must be submitted by May 14th.